King Dugan's Dungeon Lite Ep. 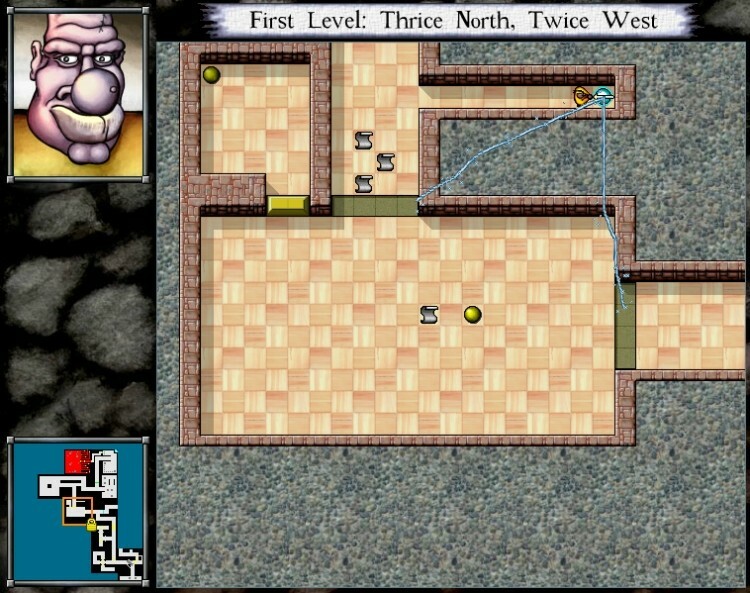 1 by retrocade is a flash port of the excellent puzzle game, Deadly Rooms of Death (DROD). Contrary to what you might think after looking at the game, King Dugan's Dungeon is a puzzle game. Turn and grid based, you follow the story of Beethro Budkin who descends into king Dugan's dungeon in order to clean it from monsters. 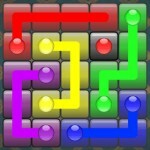 The simple mechanics sum up to complex and challenging levels. Beethro Budkin, fifth-generation professional dungeon exterminator, was hired by King Dugan to clear the king's multi-level dungeon of a large monster infestation. Beethro charges by the room, and as a professional, he is contract-bound to clear all the monsters from each and every room in the dungeon to get paid. The only weapon Beethro needs to do his job is a Really Big Sword, which will defeat almost any monster in a single hit. This is the first instalment and contains level 1-4 from the original DROD. 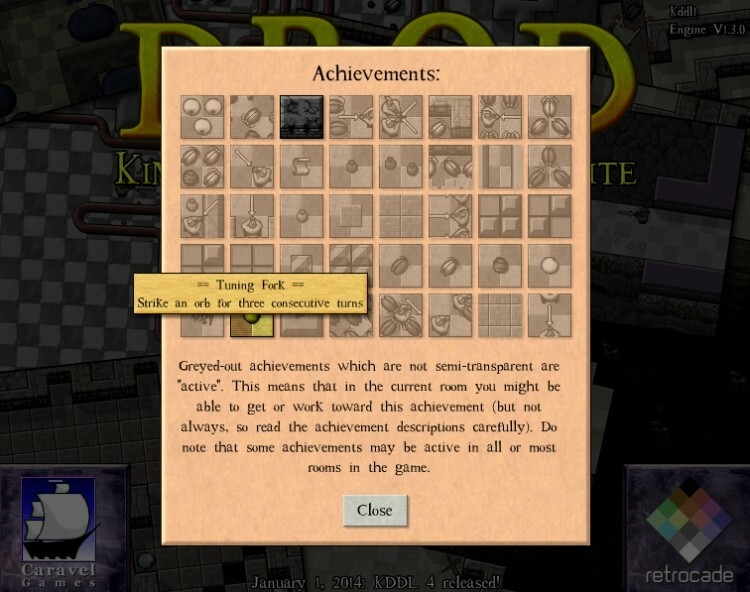 King Dugan's Dungeon is a puzzle, strategy and action game combined. The Puzzle This is what the game is about. You are to solve each puzzle on each room to progress ahead. The puzzle is basically how to open the many doors by hitting various locks represented as yellow ball. Some of the puzzle can be very intricate where there are dozens of doors and locks to hit. 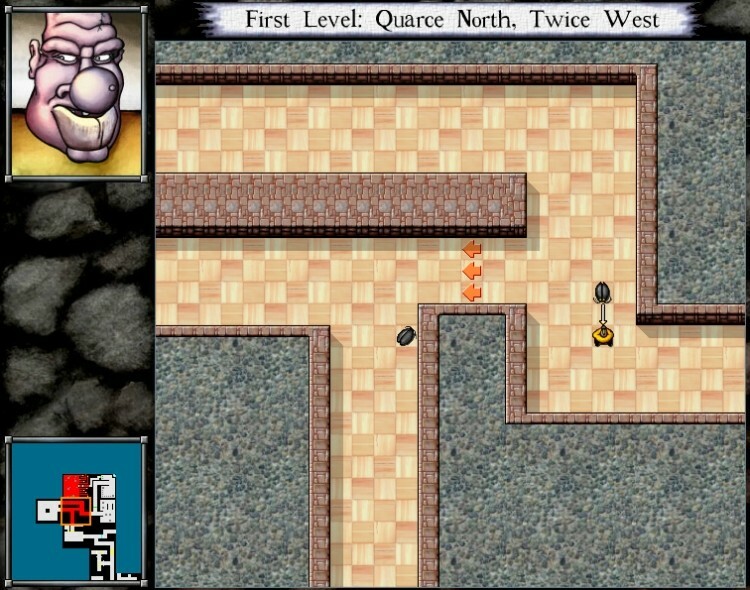 The Action In addition to puzzle, there are monsters running around in the dungeon. They move one step as you move once. You can also wait by using the "I" key. You will need to hit the monsters with your sword. The Strategy Since the monsters move as you move, sometimes you will need to strategy and count your move to make sure that your sword will meet the monsters. When there are quite a few monsters out there, it gets touch and you will need to strategize your move a lot more carefully. The game provides minimal graphics and animations. 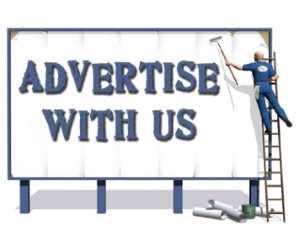 It is banking on the puzzle and strategy as its selling point. Some of the room puzzle can take a while to figure out, but luckily the game provides good and well scripted tutorial to understand all you need to solve the puzzles. Overall, the game may not be for any casual gamers. However, for fans of the genre and retro gaming, I think the game will not disappoint you as it will provide you hours of entertainment.